The staff was really frıendly, always ready to help you and solve your problem. Location is not central, but with metro it is just 10 15 minutes to most attractions. The room was okay, although not as big as the one in the photo. But it had everything you would need, a desk, a small balcony, iron, hair dryer, wine opener, utensils, microwave, etc. etc. A good balance of comfort and value near our train. Quiet location, close to two metro stations (lines 5 and 6) and a supermarket. Staff was very accommodating in giving us a quiet room far from the elevator, as requested, and in helping us when we asked for information or clean towels. Very comfortable bed. Security box was sufficiently large and easy to operate. Kitchenette had all the utensils we needed. Wi-fi worked great. Almost everything was great. The hotel is located in a safe and nice neighborhood, the room was clean with good facilities and the beds were very comfortable. Being close to line 5 and 6 of metro, the location have direct access to main tourist attractions and airport shuttle station. You can find plenty of restaurants and grocery shops around. Caffe and teas machine was available every time of day; nice staff. We enjoyed everything about the hotel and our visit to Paris. +Staff was professional, friendly, and helpful! +Safe apartment style hotel with security in mind! +The room was a good size with a serviceable kitchenette. We saw a couple of grocery stores nearby, one of which is an organic food store. However, if you ride the Metro one stop to Porte d'Italie, which is about 10-15 minute walk away, there is a nice street market on Sundays. +A nice breakfast is available onsite. +Lots of nice restaurants to eat nearby. +Good place to see street art and experience a diverse offering of Asian meals. +Good location to Metro Line 5 and 6. Line 5 will take you directly to and from the train stations. +At the desk was a nice guidebook with good recommendations on how to get the most out of your stay. Location is great. It's about 3mins away from Nationale station and you can walk to city center if you want. The room was bigger than I expected and there's everything you need. Staff was very friendly and helpful. 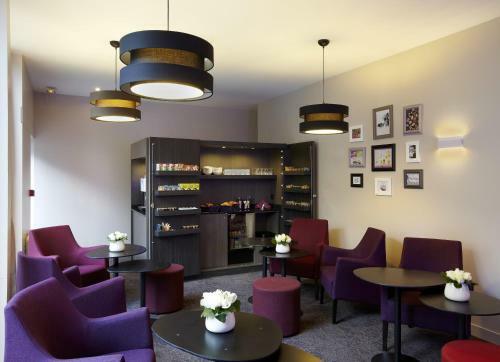 Lock in a great price for Citadines Austerlitz Paris – rated 8.2 by recent guests! 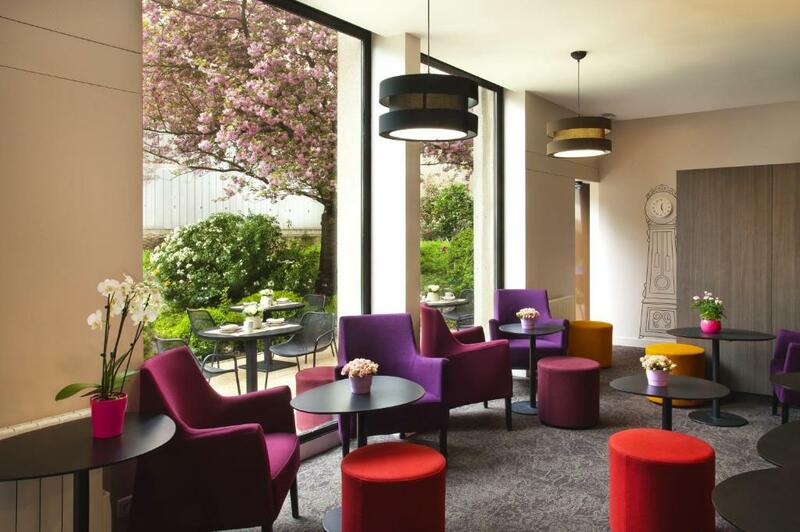 One of our top picks in Paris.Midway between the Latin Quarter and Bibliothèque François Mitterrand, this Citadines Austerlitz Paris is a 3-minute walk from the Campo Formio Métro station. It is a 10-minute walk from Gare d'Austerlitz. Citadines Apart'hôtel Austerlitz features 50 apartments, including studios and a 2-room apartment. They all have a fully equipped kitchen and a private bathroom. 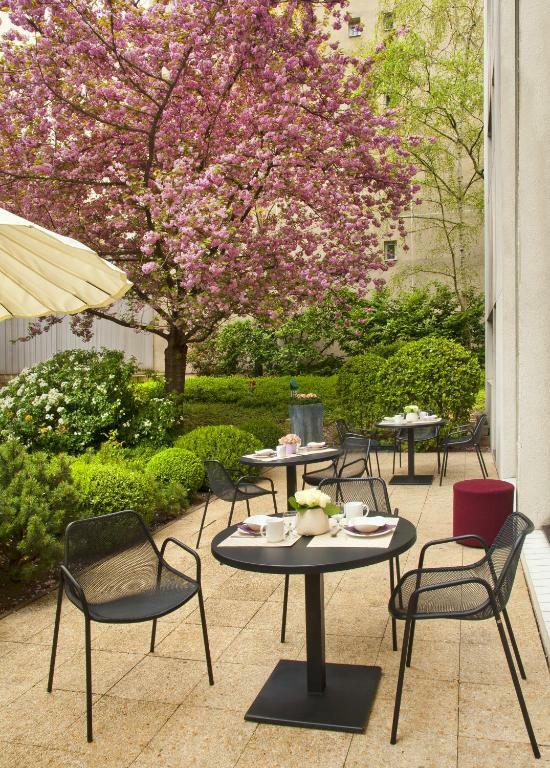 The spacious and luminous breakfast room looks out onto the garden where the terrace is set in the summertime. The Citadines Apart'hôtel offers a business center with free Wi-Fi access, a laundry room and on-site car park with spaces subject to availability. Place d'Italie and Jardin des Plantes are both a 10-minute walk away. 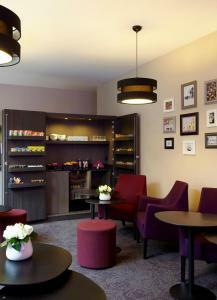 When would you like to stay at Citadines Austerlitz Paris? A fully-furnished, ready-to-live-in studio, complete with free hotel services and optional extras. Extra bed is not available in this studio. Extra bed is not available in this apartment. Area Info – This neighborhood is a great choice for travelers interested in monuments, city walks and culture – Check location Great location - show map Guests loved walking around the neighborhood! 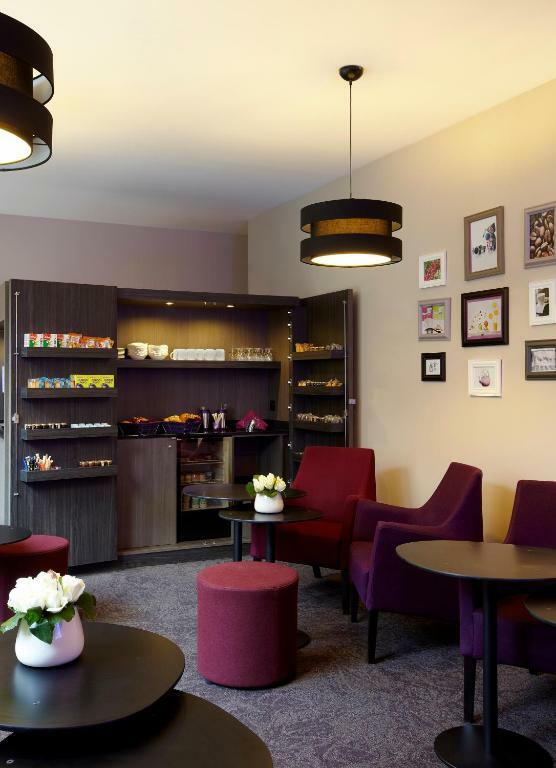 House Rules Citadines Austerlitz Paris takes special requests – add in the next step! Citadines Austerlitz Paris accepts these cards and reserves the right to temporarily hold an amount prior to arrival. Reception opening times: everyday from 07:00 to 22:00. The hotel has video surveillance outside of these hours, as well as a security agent. Please note that extra beds are not available in this property. Please note that the property provides 3 private parking spaces that are subject to availability. Extra costs of EUR 25 per night, EUR 110 per week and EUR 310 per month apply. Rooms for guests with reduced mobility are available according to availability and must be confirmed with the property after booking. It’s was a great location. All staffs are friendly and very helpful. And also very quiet place. I would like to come back when I visit to Paris again. The kitchen corner and the bathroom could have been cleaner. Because of the humidity in the bathroom, there is some paint flaking off and the bathroom door was quite worn out. All in all, the bathroom needs to be modernized. Our studio was spacious, certainly for this prize in the center of Paris. The staff at the reception is really friendly. The building is in a quiet street. It is only a short walk to Place d'Italie and from there, you can get anywhere by metro. Do not buy the breakfast it is just some cereals, orange juice and coffee for 10 euros. You can go to any caffee and get a simple breakfast like that for less than 5 euros. Not worth it. The bedroom and toilet are narrow. The bed and sheets could have been cleaner. I like the bathtub and the kitchen facilities. The location is very good. It's in a quiet area, close to supermarkets and metro stations. room was not so modern and new as showed in the picture. it was presented in pictures as if a new modern renovated hotel but in a actual fact, it looks like that the walls haven't been renovated at least since 10 years. no efforts for details so that you can feel comfortable in the room. Excellent choice for self catered stay. Close to metro station, Easy to get from CDG airport by RER train to 'gard du nord' and then line no' 5 to 'campo formio'. Free coffee and cold soda/water all the time. Very nice and attending stuff. Clean. Very comfy double bed. Good WiFi. The hotel staff at reception was super nice and very helpful! Thank you so much! It would have been nice to have a small 3 seat couch in the room and a soap dish for the bathroom sink otherwise no real complaints. Didn't have the breakfast but it looked Ok, the coffee machine had chocolate which was nice. The mattress was very comfortable - a rarity in my experience traveling around the world - bravo! The front desk service was excellent, really nice guys and very obliging, couldn't be better. The location was very quiet and safe at night and also very close to the botanic garden with its excellent zoo. The metro station 'Nationale' #6 line is just at the end of the street and is direct to Trocadero for viewing the Eiffel Tower at night - easy and fuss free direct route taking only 15mins each way 3.80 euro round trip. The RER C train line is a short stroll away down Blvd Hopital at the Paris Austerlitz station which gives sorry easy access to all the main tourist sites as it cruises along the Seine river past Notre Dame Cathedral, Musee Dorsay, the louvre museum and the place Concorde/Champs Elysees. If you pick the right day - anti pollution day - is a 3.80 euro ticket valid on all transport modes for the entire day!. There are several convenience stores nearby - 10 minute walk. There are way too many Patisseries close by too - a serious problem! The Place d Italie shopping mall is also a short stroll away and had some great clothes shops at good prices. The RER C line is direct to the Versailles Palace too just remember you can't buy tickets on the upper level which is SNCF trains only, you must go down the steps outside the station front and use a machine down there which had RER written on it - it's 3.80 euro round trip and I do recommend getting the 7:30am train to get there by opening time at 9am otherwise the que to get in its ridiculous. Nothing - but be aware that it's an apartment not a hotel so don't expect to get your room cleaned and towels changed every day. Large, reasonably well-equipped studio apartment with a small but functional kitchen, spacious bathroom with a bath, and a small balcony. There is no coffee machine in the apartment but there is free coffee available downstairs. The location is good: two metro lines within 5 minutes walk, and the Jardin des Plantes and the river (+ river bus) are only 20 minutes away on foot. It's not actually that close to the Gare d'Austerlitz (15-20 minute brisk walk) but it's an easy metro ride; the location is also convenient for travellers arriving or departing at the Gare Montparnasse. Overall very good value for Paris. In the kitchenette the extractor hood is missing, so if you cook something, the vapors go everywhere! The studio was great with everything you need to live and even cook your own dishes (but for salt and cooking oil). The neighbourhood is quite and nice, no tourists, no crouds, very quiet at night or in the evening. And there are 2 different metro stations like 100 meters away: one line leads to Eifel Tower (30 minutes or so), another - to Montmartre. The property itself is also great: free coffee/tea whenever you feel like it, nice staff, very cozy rooms with no sound of any neighbours at all. I can hardy imagine a better place to stay for this money.